Nowadays Facebook is a renowned social media platform with unique set of features evolving on the Web. 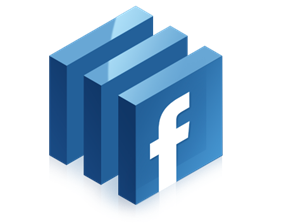 Facebook has given the opportunity to use their native functionality to improve user experience on websites and blogs. As it has more simplified, convenient and personalized social experience, more and more users started to integrate Facebook social platform in to their websites. 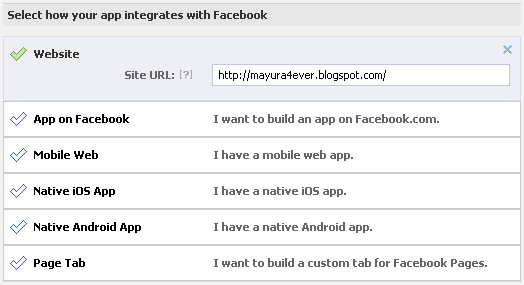 Basically Facebook offers social plugins to use with their sites to embed social features on their sites. But if wish to integrate Facebook platform more deeper into your site, then you need to create a Facebook application for your site. Oops... But do you know how to create an application for your site? You need to verify your Facebook account in order to grab a Facebook Application. Read How to Verify Your Facebook Account. 1. Navigate to Facebook Applications page. 2. Click on Create New App button. 3. Enter the name you wish to have for your application in App Display Name field and enter your preferred namespace for your application in App Namespace field. Note: Namespace must be at least 7 characters and it will use for Open Graph and Canvas page if you gonna make use of them. 4. Now check I agree to the Facebook Platform Policies option. 6. Now you will prompt to enter captcha text. Enter captcha text in the box and click Submit. 7. Now you will navigate to application summary page and move on to Basic Info Heading. 8. Enter your domain or subdomain in App Domain field. Note: If you are hosted your website or blog on a free domain, then add your subdomain here. For example, if your blog on Blogger platform, it should be specified as blogspot.com. 9. If you prefer you can select category of your application via Category drop down box. 10. Now scroll down and find the heading Select how your app integrates with Facebook. 11. There click on the Website section. 12. Now enter your site URL in the Site URL field. 13. Now click on Save Changes button. You can find your Facebook Application ID aka API key on the top of Facebook Application page correspond to your application. Further you can explore other settings for your application from the left pane. Can you explain the use of namespace and opengraph more. Detailed and easy to follow instructions, it is very helpful. Thanks ! I'm trying to create a Facebook application for a business fan page. I've verified the account, but when I try to click on the Facebook application link, I'm redirected to my fan page. I'm not able to find any "Create new app" buttons.